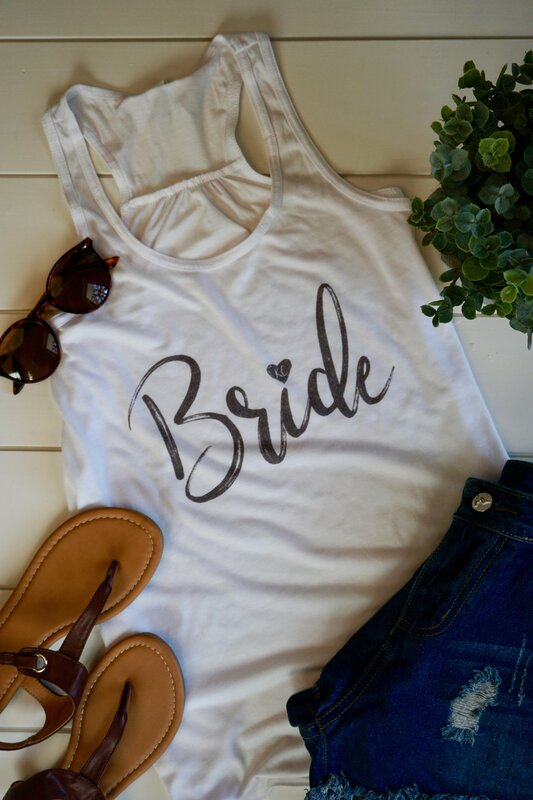 Any bride with a love for her fiancé and Kansas City is going to love this new tank! Just take a sneak peek at the heart... which has an adorable KC inside! This flowy, white racerback tank is 65% polyester and 35% viscose blend, which is extremely soft and comfortable to wear. 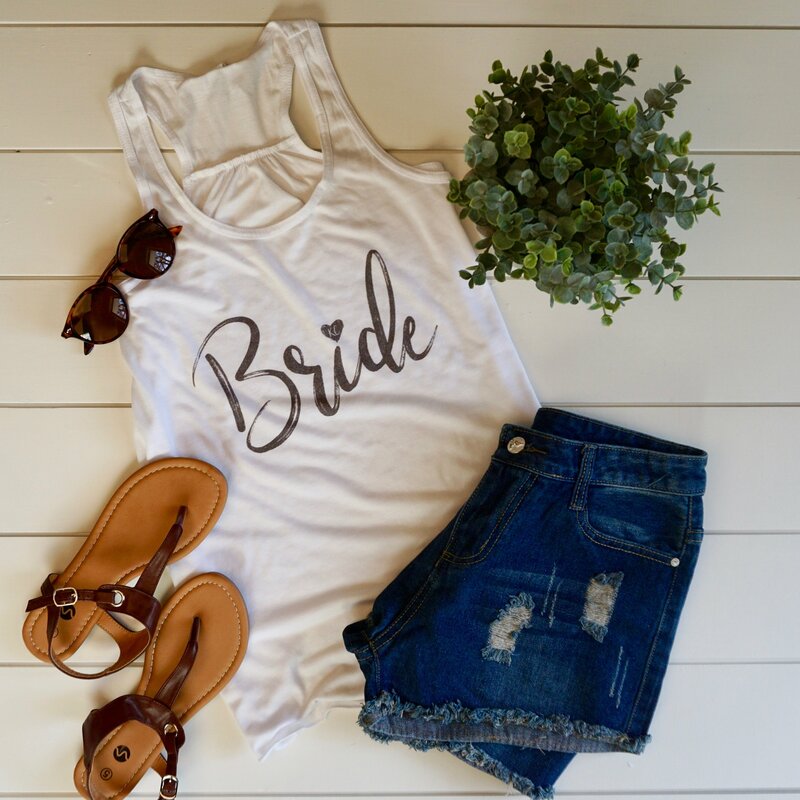 The fitted top loosens through the bottom portion of the tank, creating a loose and relaxing fit that easily pairs with shorts, jeans, or leggings. 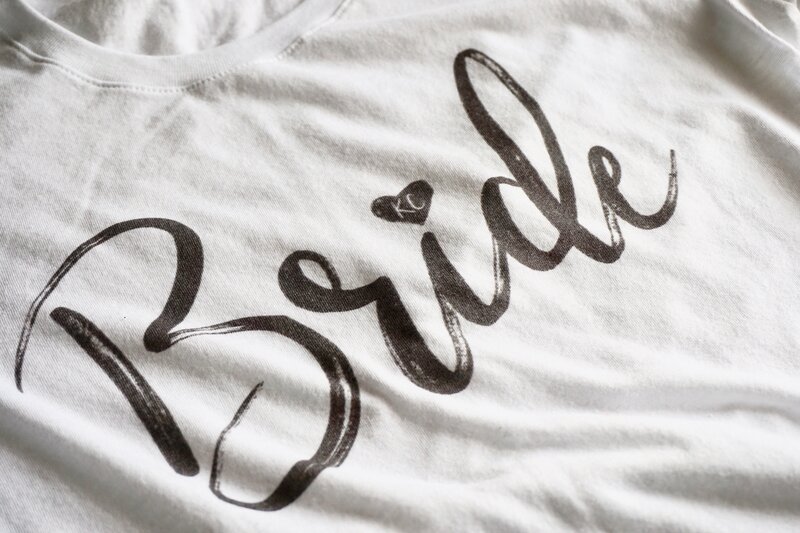 Want to grab some goodies for the bridal party too? No worries, we've got that too!